The University of Montana developed fine-scale occurrence maps for nine species, including sagebrush-obligate and woodland-reliant species across their breeding ranges. These predictive maps across guilds can be used to determine where to best target conifer treatments in areas predicted to benefit sagebrush-obligate species known to benefit from conifer removal, while also indicating areas where treatments may impact conifer-reliant species negatively. 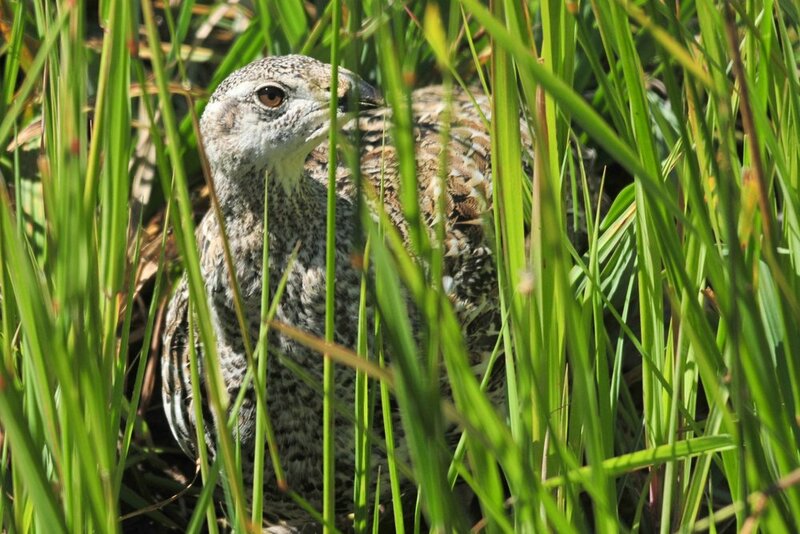 This web map application for the NRCS-funded Sage Grouse Initiative visualizes, distributes, and interactively analyzes spatial data produced by the SGI’s science team. Here you can find descriptions and instructions about how to use and download this sagebrush-steppe data. The Partnering to Conserve Sagebrush Rangelands effort is supporting this map's continued development. Streamsides, wet meadows, springs and seeps, irrigated fields and high-elevation habitats all provide critical habitat for birds and livestock. Commonly referred to as “mesic habitat,” these areas hold moisture throughout the growing season and provide refuge from drought and heat during the summer months. Using more than 30 years of satellite imagery (1984-2016), mesic areas were mapped across the sage grouse range. These multi-species layers can be manipulated and downloaded as needed. See what this entails here.